Bold text is instructional and not part of the narrative. Please come in and have a seat. Allow me to introduce myself, my name is ________, please call me ________. What is your name and how would you like me to address you? May I ask that you turn off all pagers and cell phones or if you must keep them on, please put them on silent or vibrate. (If appropriate,) We do recognize you have a life outside this mediation. If we run through meal times, we’ll have them provided (or whatever is agreed to prior to the mediation). Can I do anything else to make this setting more comfortable? As far as who makes your uninterrupted O/S (attorney if one is present, client or both) I’ll leave that up to you. The way you choose to do it is the way I want to hear it. (The attorney can make the O/S, the client, and/or both.) This is your mediation and I will support, as much as possible, how you’re going to conduct your presentations and involvement. I assure you that your O/S will be uninterrupted, however, I’ll be taking notes and may stop you to make sure that my notes are accurate. If there is anything you’d like to say during the other party’s O/S, I request you make notes on the paper provided so that when I get back to you, you’ll have everything you want me to know, ready to share. 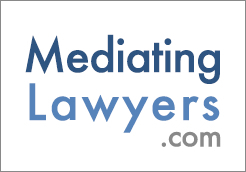 What is mediation and what is a mediator? Mediation has been around for more than 5000 years. Everyone at this table is and/or has been a mediator. If you’ve gotten in the middle of people having any kind of fuss (i.e. children, family, friends, neighbors, co-workers, strangers) and asked ‘What’s going on?’ you’ve been a mediator. The only difference between you and me is that I don’t have any personal interest in the outcome of this mediation. Mediation is very successful in that 3/4ths of all matters going to mediation are settled. The purpose of mediation is to help you, if possible, find common ground so this matter may be resolved (ending in an agreement), if you so choose. Mandated reporters must comply with their respective mandates. This is a voluntary process. If this process is not meeting your needs, you may leave at anytime. If you’ve been ordered here, you’re required to negotiate in good faith. (This is required by many courts, but not all.) If you think you want to leave, I request that you confer with me. You don’t have to, however, I may have a perspective, as the neutral, that may be helpful to you so that any decision you make would be with all available information. By the way, anything I say in this mediation is an invitation for you to consider and nothing more. Also, consider that you’ve designated time on your schedule to be at this mediation and, for most, it’s costing significant sums of money so, I encourage you to use this time to the fullest extent possible to see how far we can go in resolving or, at the very least, limiting and/or clarifying the issue(s) in your conflict. You’re entitled to a neutral to assist you in this mediation. I can’t just say I’m neutral, I believe I must prove it. First of all, I don’t recognize any of you. Do any of you recognize me? (If I recognize any person or they recognize me, reveal it and fully explore the extent of that recognition and/or relationship. Again, this is a good way to demonstrate your skills along with building trust and rapport.) Let me take this a step further by telling you something about me to see if we’ve had any contact and/or relationship. I have done/been/engaged in… Does anyone know or had any contact with me in any of those roles? (Fully explore the extent of such contact. After full explanation, turn to the other party and ask: “Do you have any questions or comments?” Then, ask each party:) “May I proceed as your mediator?” Again, let me remind you that I have no power and/or I cannot make any decisions in your matter. I wear only one hat here and that’s as a mediator - an individual who assists parties in their negotiations. Do you have the capacity to conduct good-faith negotiations, make decisions for yourselves, including a decision to end the mediation, if necessary, as well as be able to sign an agreement if you reach one? (Be careful how the following is asked:) Is anyone under the influence of alcohol and/or drugs? Group agreements may or may not be desired, declared, developed, or required. You may wish to develop and/or review the ground rules. If they are to be included, it is recommended you secure the parties’ input in their development. Or, if you feel more comfortable to include some, please keep them to a minimum and frame them in appropriate language (not as a ‘critical parent’). What’s going to happen? We are all together in what is called the Joint Session. We will remain in the joint session until all opening statements are presented. We may remain, after the O/S(s), in joint session if you (the mediator and/or participants) are okay with this or a caucus may be called. A caucus is a private meeting. Any of us may call a caucus. If you wish to speak to me privately, or, if I wish to speak to you privately, a caucus will be called. If you wish to go to caucus, we will do so immediately. If I meet with one party in caucus, at the conclusion of that meeting, I will meet with the other party. At the conclusion of those meetings I will ask if there’s anything you wish for me to hold in confidence. Whatever you request I hold in confidence, it will be done. There may be a disparity of time that I spend in caucus with one person as opposed to the other. That does not mean I’m forming any favor and/or affection for one party over another. The reason for the time disparity is that it may take longer to say what I have to say with one as opposed to the other, or it may take you longer to say what you have to say to me than does the other. Also, when I’m caucusing with one party, may I request that the other party use the time to think of some things that might work for you that you think the other would consider. That way, we’ll all be working on searching for a resolution. Consider the following. When I’m caucusing with you, I will be bringing the message of the other party to you. Conversely, when I’m with the other party, I’ll be taking your message to them. Please see me as the messenger and not the message. Also, be aware that negotiating is a give and take process and, as such, most folks don’t get all they want. I request that you be more flexible than you were before you came here today. Personally, I like to think positively, and invite you to do the same. Maybe you can find common ground and hopefully reach agreement or clarify and/or limit the issues so you’ll be able to resolve the conflict and move on in your lives. Keep in mind, in mediation you have 100% control of the outcome. If you go to court, you have little control at best or 0% at worst. Also, to some, court is defined as “the only living autopsy from which you walk away.” (Here, I ask attorneys if they agree with that statement, and all, with a smile, heartily agree.) Additionally, if there is more than one session and I have contact with either party (whoever may initiate it [me or them]) I will consider it a caucus. After that caucus, I will contact the other party and provide them an opportunity to have their caucus. Confidentiality will continue to apply in all caucuses. Hopefully, we can discuss all the potential outcomes. May I have your opening statement? ____ Comfort questions: Is seating comfortable? Is lighting ok? Is temperature ok? ____ Are there any questions? Robert A. "Bob" Berlin, J.D. President, The New Decision Management Associates, Inc. has primary responsibility for Mediation, Negotiation, and Alternative Dispute Resolution Services. Bob has experience in handling ADR cases numbering in excess of 4000 civil and family law mediations since 1968. As a registered arbitrator, mediator and neutral evaluator with the Georgia Office of Dispute Resolution, he has handled a broad spectrum of cases in numerous courts throughout the state. He draws from an eclectic professional background in law, marriage and family therapy, communications and teaching. In addition to his present involvements, he is doing CE Trainings and Coaching of Neutrals. A Mediate.com Certified Mediator, Bob is a graduate of the Walter F. George School of Law, Mercer University, receiving the LLB (J.D.) in 1963 and was a senior partner in the law firm of Berlin and Hodges, P.C. for 39 years. He served as a Municipal Court Judge for 25 years and has served as a pro hac Judge in three other courts. Bob served in the State House of Representatives, District 86, 1973-1975 and was appointed by the Governor as a member of numerous state commissions. Bob has served as an adjunct professor at Mercer University Law School, Macon State College, Georgia Military College and Middle Georgia College. His is an approved Mediator for the United States Postal Service, EEOC, and the FBI. "I received your email blast about the 10th Anniversary of mediate.com—it seems very nearly impossible that time has passed so quickly. I have enjoyed watching your progress and I have always marveled at the enthusiasm and energy of you and John (as well as your hard working supporting cast). You have brought much to our community of peace makers and epitomize the spirit and perseverance of mediators everywhere who, as you know, really live in “Never-Say-Never Land” (I just made that up). You keep up the good work, and I’ll keep watching."